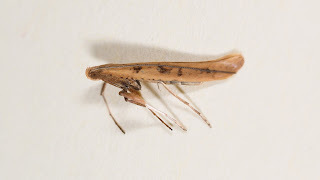 Hereford and Worcester Moths: Caloptilia sp ? I trapped on 4th November with temperatures reaching a minimum of 11.3c overnight. 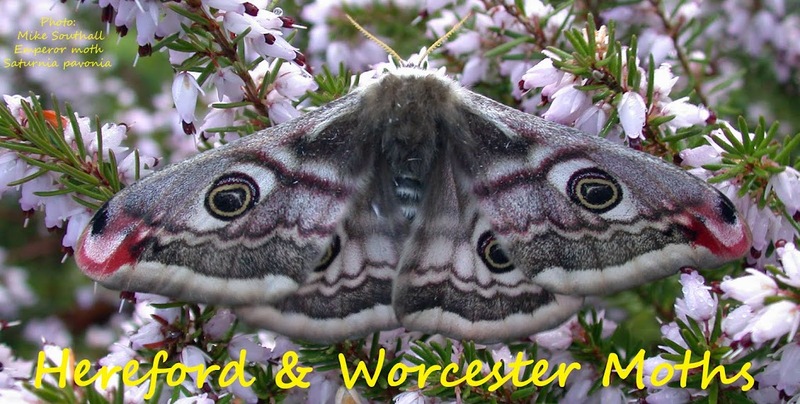 2 Traps produced 75 moths of 20 species of the usual Autumn mix very similar to Peter Halls last post. Even got single Large Yellow Underwings in each trap. Thought I'd seen the last of those. I also had this Caloptilia which I reckon is either elongella or betulicola but as I am not familiar with either I wonder if anyone can confirm either way. 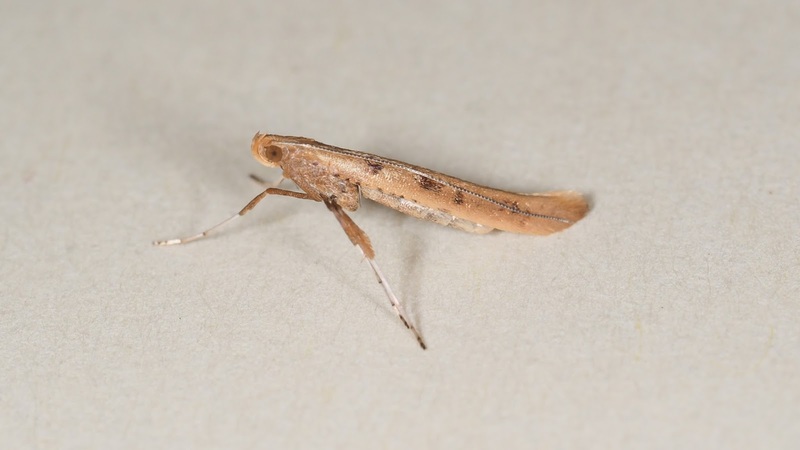 I believe the foodplant for elongella is Aspen which I do not have close by and betulicola as the name implies is Birch of which I have a large example in the garden. betulicola is also supposed to have white hind legs which this example seems to have but not as white as the front legs. I am leaning towards betulicola but not sure if I have enough for a satisfactory ID. I no longer have the moth. Shame you didn't keep the moth. What about populetorum? Hi Peter. I had dismissed populetorum on general colouration, particularly the hairy bits at the top of the front legs which seem quite dark / blackish in the pictures I've seen but I don't know how variable these Caloptilia are. I agree. I've just chopped a populetorum today and the front legs are different, less white than yours.